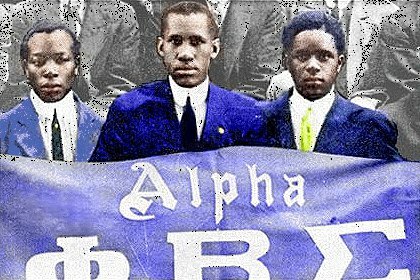 On Behalf of the Gamma Psi Chapter of Phi Beta Sigma Fraternity Incorporated., I would like to welcome you to our homepage! The Gamma Psi Chapter's purpose it to serve humanity, our campus, and our communities by "Speeding the Cause On Its Way. We pride ourselves as being Proving Leaders. As we push towards celebrating our 92nd year of Brotherhood, Scholarship,and Service and our 42nd year as a chapter, we continue to aim and strive for the best. We hope that you are enlightened by the rich history of our chapter and our fraternity. If you would like to contact me please feel free to email me at tankgunn@hotmail.com and I will get back with you as soon as possible. Again, Thanks for visiting, come back soon and check for updates and always, Never get caught up on your past hang ups.